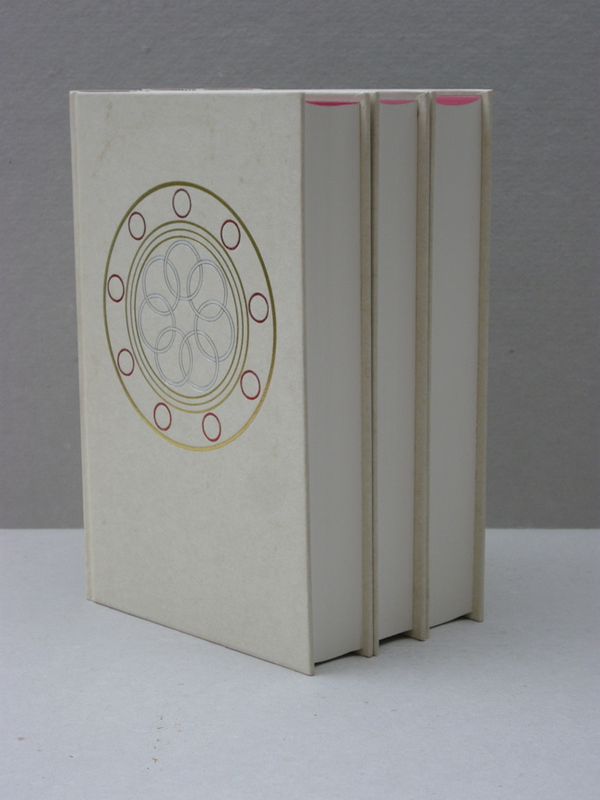 A beautiful, Near Fine, set of the 3rd style of binding issued by the Folio Society in 1993. 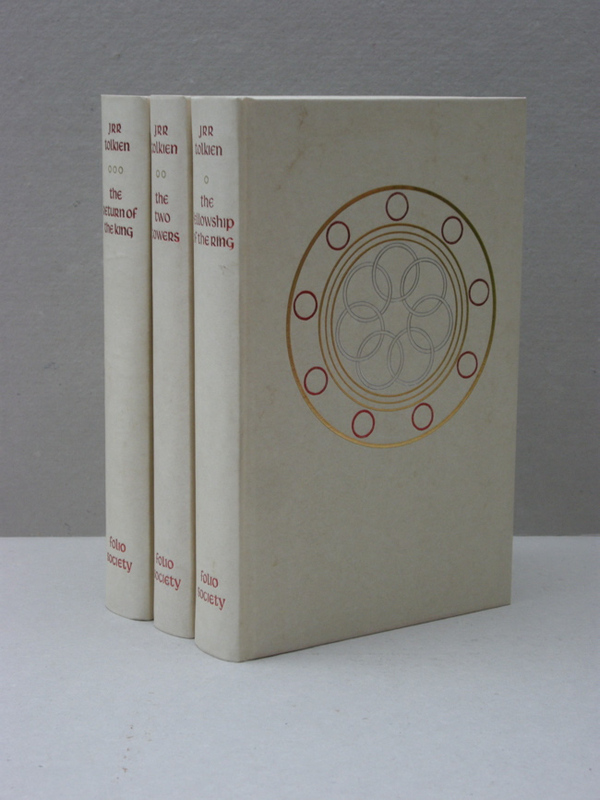 Printed in Great Britain, set in Barbou with Libra Display type, bound in full "Elephant-Hide" at the Bath Press in Avon. 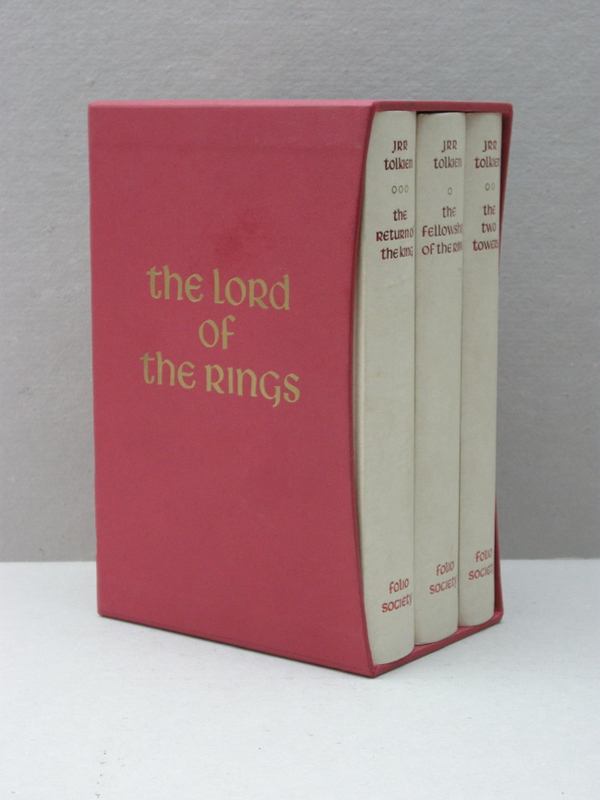 This binding features the "Seven (Silver) Rings for the Dwarf-lords", within "Three (Gold) Rings for the Elven-kings", surrounded by "Nine (Red) Rings for Mortal Men", encompassed by the "One Ring" (Gold) "to rule them all". Wonderful symbology, and beautiful execution to form the gilt design for the front boards of each book. Topstain in a dark 'blood red' color. This set of books, appears to be unread and unmarked, no bumped corners, no wear to edges. Still crackle when you open them. 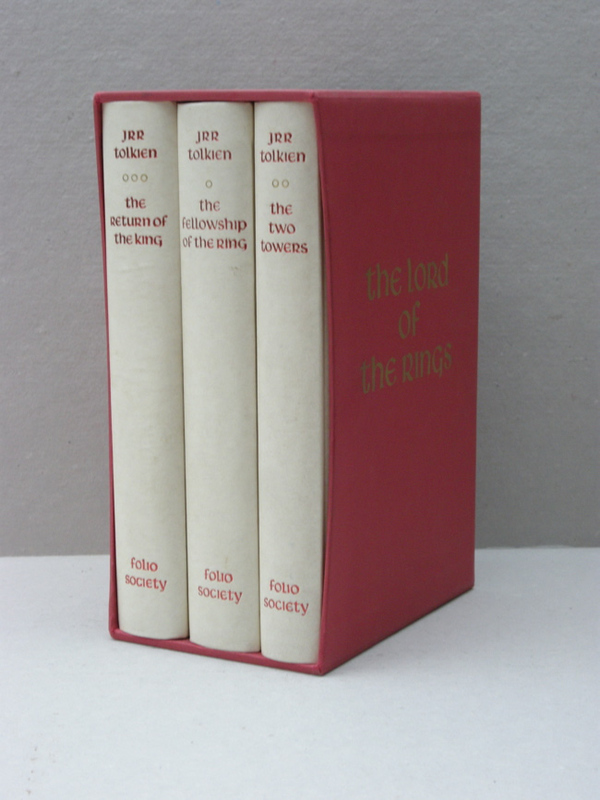 Housed in the original publishers slipcase, also without noticeable flaw. Very scarce in this condition.